In my role as a pastor's wife, I've discovered in countless conversations with Christian women that they often feel confusion and even pressure about what they should be doing in order to please God. They are asking, "What does God want from me?" and unsure that they'll ever be enough for Him. I can relate. I spent two decades of life after my salvation asking the same questions and struggling with the same uncertainties. And then something happened: God made it clear to me that I didn't understand His grace, and that because I didn't understand His grace, I didn't understand Him. He took me on a journey through Scripture that transformed my heart, my perspectives, my relationships, and my ministry. 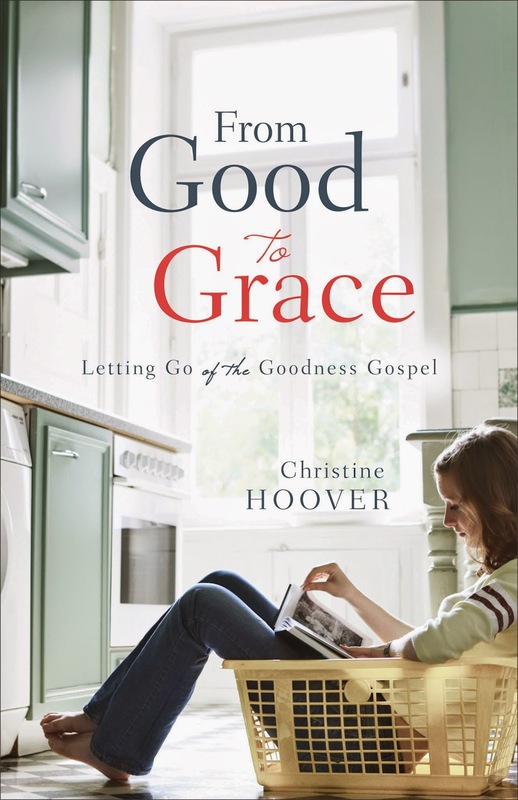 From Good to Grace: Letting Go of the Goodness Gospel is for women like I was, who long to please God but fear they never will. It's for the woman drowning in self-condemnation, the woman afraid to be vulnerable with others because she's so fully aware of her imperfections, and the woman who craves but can't seem to grasp the freedom and joy that Jesus promised His followers. Instead of asking "What does God want from us? ", From Good to Grace asks, "What does God want for us?" The book illustrates how we confuse being good and trying hard--the goodness gospel--with the true gospel, which is really about receiving the grace and love that Jesus offers us and responding with our lives by the Holy Spirit's help. Readers will discover that it's possible to know God's love, live in peace and freedom, and serve others with great joy. Sample the first chapter for free! Order From Good to Grace on Amazon, Barnes & Noble, or Christianbook.com. I've provided discussion questions at the back of the book and videos online for you to use in your book club. Find the videos here!